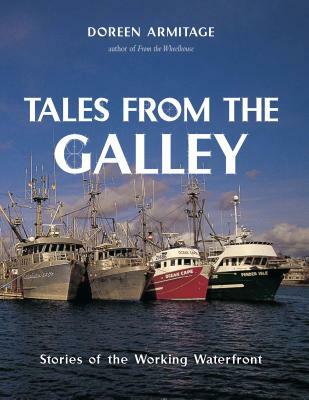 Doreen Armitage, author of the bestselling "From the Wheelhouse: Tugboaters Tell their own Stories," is back with a fresh collection of salty tales from a varied collection of men who earn their living in, on or beside the sea. A former DFO skipper tells a heartrending story of trying to rescue the crew of a fish boat foundering off the west coast of Vancouver Island in wind so strong it cartwheeled their life raft "across the waves like a tumbleweed." A coastal pilot recounts the horrors of trying to scramble up the sides of towering ships in tossing seas, and a near-death experience after falling into the frigid ocean. A tugboat skipper tells of towing a mountainous bundle of logs--called a Davis raft--from the Queen Charlotte Islands only to have it hit rocks and break apart, scattering enough timber to build a small city. A commercial dive fisherman remembers the time his buddy befriended a big harmless-seeming octopus, who responded by trying to tear his helmet off. Some of these stories involve momentous events with sinking ships and loss of life, but most simply recount everyday happenings, from the humorous to the strange. Together, they offer a captivating picture of life along BC's working waterfront in all its variety. Description: A clean, unmarked book with a tight binding. Inscribed by author on the title page. Full gray cloth boards. 8 5/8"w x 11 1/4"h. 198 pages. Many b&w photos.